Warren S. George is an Executive Partner and Owner of civil litigation law firm Keis George LLP. Warren manages the Personal Injury Practice of Keis George LLP and recently led the team to win numerous million-dollar cases. Though Warren directs the Personal Injury Practice, he is engaged in every aspect of litigation in state and federal courts. Warren has extensive experience litigating personal injury, wrongful death, and product liability cases. Mr. George is a 1986 graduate of Cleveland State University where he studied Pre-Law courses, majoring in Sociology. He is a 1989 graduate of Cleveland-Marshall College of Law. He was admitted to the Ohio Bar in 1989. He was admitted to the U.S. District Court, Northern District of Ohio in 1989. 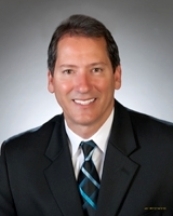 Warren was recently honored as a Super Lawyer and one of Cleveland’s Top Lawyers. Warren was also awarded AV Preeminent™ Best Lawyer.